Do you need to know how to easily upload photos to Instagram from your laptop or computer? 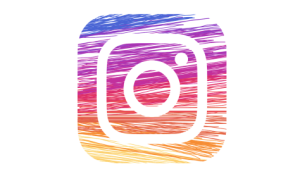 As an online marketing consultant, I am often called upon to manage the Instagram accounts of my clients. This role requires me to upload photos to their Instagram business accounts. However, I am not the photo-taker — the original photos reside on the smartphones of my clients. So, how can I upload these photos to Instagram? Question: What is the best permalink structure for WordPress? My company has setup their WordPress permalink structure using a year/date structure and I don’t think that’s the ideal solution. What do you think? Mary, this is a great question and one that, ideally, is given proper consideration before companies setup their website. However, as you are experiencing right now and as I have seen countless times, WordPress website owners do not give sufficient thought to this and they end up with a bad permalink structure that then needs to be fixed later on. Richard CummingsThe Perfect WordPress Permalink Structure – There’s Only 1 Answer! Google Analytics often seems too difficult, but it doesn’t have to be if you know exactly where to click. 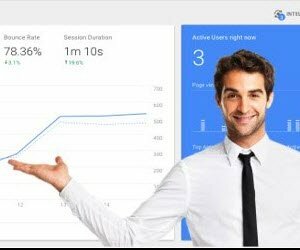 In this post, I am going to take you on a Google Analytics walk-through to show you how to easily track user behavior [Call-To-Actions and Click-Through-Rates] to determine how to improve your website. Most small businesses never do this. They simply install Google Analytics and then do little else. They will then occasionally visit their Google Analytics page and look at the total amount of traffic their website is getting. Why do people not dig deeper with Google Analytics? Because it’s seem so dispiritingly complicated. Richard CummingsHow Can I Tell If My Website Is Mobile Friendly? 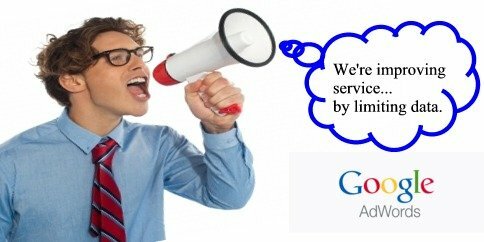 Did you know that if you don’t update your web content, you may be penalized by Google’s new algorithm, RankBrain? Let’s examine how this can happen and what you can do to prevent it! Have you ever modified your Google search to only show web content created in the past year, past month, or past week? Of course you have, and I have, and many others do as well. I do it because I research many technical issues. And often, an article written in 2015 does not serve my purposes in 2018. But this is not just about technology searches. It’s about nearly every search. Searchers want the latest information! We want now! Several clients have asked me about their web page titles not showing up properly on Bing and Yahoo. 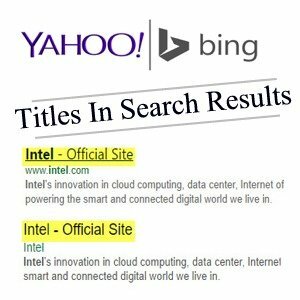 Frequently, instead of the web page title, Bing and Yahoo will say “Company Name – Official Site“ as you see depicted in the image to the right. These images are taken from a Yahoo and Bing search for the company Intel. However, instead of saying “Intel | Data Center Solutions, IOT, and PC Innovation” which is what their HTML title element (technically, the title is an element and not a meta tag) says, the title of the web page simply says “Intel – Official Site”. You may take solace in the fact that, if it’s happening to Intel, you probably cannot do anything about it. So, let’s take a look at why this is important, why it’s happening, and what you can do about it. 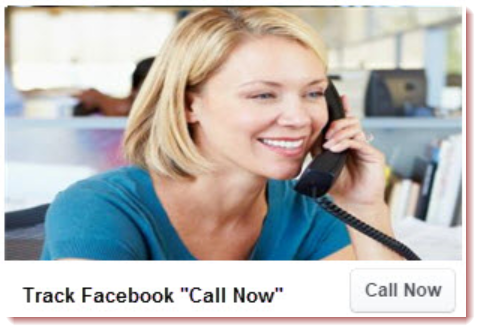 The Facebook “Call Now” button introduced a great way for customers to immediately contact your business when they are using Facebook on their cell phone. But, after implementing the “Call Now” feature in your Facebook local awareness ads, you will have one obvious question that Facebook is less willing to answer: Are people clicking your Facebook “Call Now button? 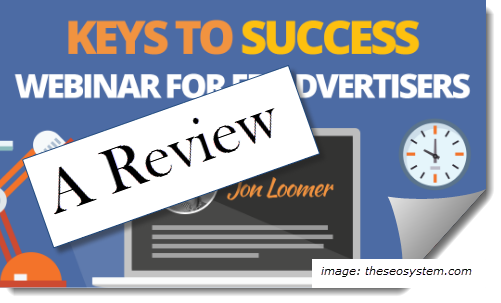 I just “completed” Jon Loomer’s Facebook Keys to Success Webinar and will provide you with a quick review of it here. Why do I use the word “completed” in quotes? Well, as you’ll see below, it’s long and I did not quite make it through the entire video. That is not to say that the content is not engaging, though I do offer some suggestions below; the content is engaging but I was specifically interested in particular sections and so I focused on those. One of the particular sections that I was interested in was Facebook Ad targeting. And coincidentally, as quick proof that his methods do work, I signed up for the webinar via a Facebook targeted ad. 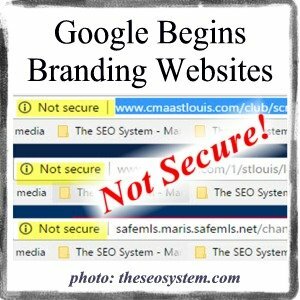 Since my article long ago exposing the 10 Facts & Myths of Secure (HTTPS) websites and my more recent Definitive HTTPS/SSL WordPress Upgrade Guide, Google has now provided increased incentive for those of you who have not yet upgraded your website to HTTPS — they will brand you as “Not Secure”! Important Post Update – August 2018: Google Chrome now labels all http sites as ‘not secure’…not just pages with forms on them. If you’ve recently logged into Google AdWords to get keyword data, you may notice that the “Average Monthly Searches” column is now not nearly as useful. I am going to give you the exact instructions on how to upgrade your WordPress website to SSL in under 3 hours AND in just 10 easy steps. It’s 2019 and you are falling behind the competition if your WordPress website is not HTTPS/SSL! 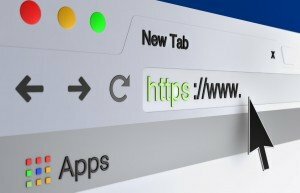 If you’re still not convinced, here are 5 great reasons your site should be HTTPS. 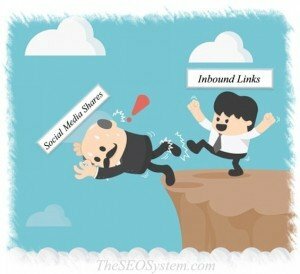 Small businesses, you have a difficult decision to make regarding SEO. Do you do SEO in-house or should you outsource? As you consider this decision, it’s always beneficial to know what your peers are doing and to find out if they are satisfied with their decision. 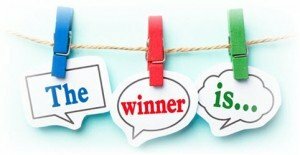 Richard CummingsSEO Small Business Statistics 2016: Do-It-Yourself vs Outsource? 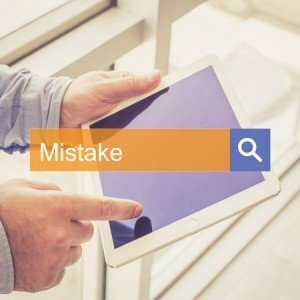 If you were to name the one giant SEO mistake that you are making, what would it be? “Who me? I’m not making any mistakes”. You and I know that we all make mistakes and you are probably making this one giant SEO mistake. 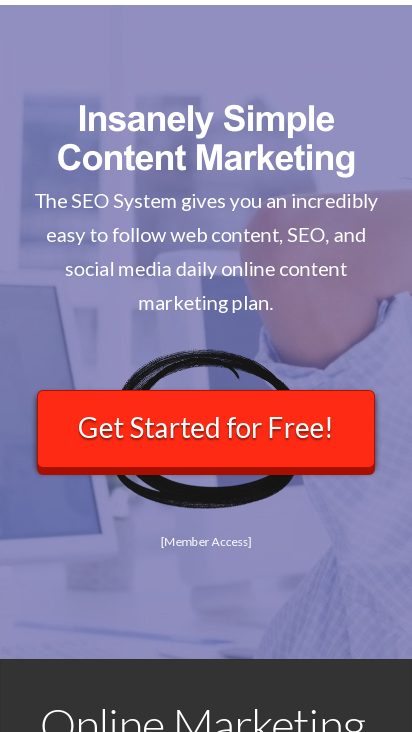 My inspiration for this post comes from my SEO article of the week by Stephan Spencer: 5 super-common SEO mistakes content marketers make.